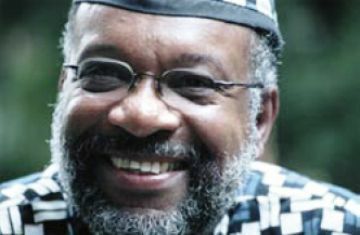 New York (Tadias) Chester Higgins, Jr. is one of the most significant photographers of his generation. He has been a staff photographer at The New York Times since 1975. One of the most indelible images of Emperor Haile Selassie was captured by him in 1973 at Addis Ababa airport during the tenth anniversary of the Organization of African Unity (OAU), now called the African Union (AU). His photographs have appeared in ArtNews, The New York Times Magazine, Look, Life, Newsweek, Fortune, Ebony, Tadias, Essence, Black Enterprise, GEO, The Village Voice, The New Yorker and Archaeology. Higgins’ body of work is a fluid, sensitive and in-depth diary of his explorations of the human Diaspora; they reflect his concern with his own humanity. Through his portraits and studies of living rituals, traditional ceremonies, and ancient civilizations, his viewers gain rare insight into cultural behavior — a window to another place and time. In this piece for Tadias Magazine (Embracing Ethiopia), Higgins shares with us some stunning photographs of Ethiopia, as well as the story of his journey to this ancient nation. Long before I set foot in Ethiopia, the name itself summoned images of Biblical proportion for me and, I believe, for many other African Americans as well. In the Bible, ‘Ethiopia’ is a place of refuge, an amazing mystical land. Then with the advent of Marcus Garvey and African nationalists, who rallied against the Italian invasion of Ethiopia during the Second World War, Ethiopia became a symbol of resistance to Colonialism. In the 1960s, when Emperor Haile Selassie appeared on national TV during a state visit to the US, millions more African American imaginations burned with the knowledge of an independent African people. Not until the 1970s did the image and concept of Ethiopia, inspired by the reggae music of Bob Marley, gain extraordinary prominence in the minds of a young generation of African Americans. The Rastafarian Movement’s efforts to re-define the sanctity of Ethiopia and re-cast Emperor Selassie in a sacred light caught the imagination of young people as they swayed to reggae music. A new light had come out of Africa, but the beam started in the diaspora, this time in Jamaica. In 1969 I had the good fortune to make a portrait of the renowned Harlem historian and teacher Dr. John Henrik Clarke. He was deeply committed to Africa and African people. My young mind was a parched field, and the many hours I spent with him, asking questions and hearing his answers, fertilized and watered that dry soil. Through him, my knowledge and understanding of Ethiopia grew. Dr. Clarke had this effect on thousands of Harlem residents and on students at Hunter College and Cornell University. In 1973, on my first journey to Ethiopia, I attended the tenth anniversary conference of the Organization of African Unity (OAU), now called the African Union (AU). That year the conference was held in Addis Ababa. I came to photograph African heads of state; I wanted to share with African Americans my view of rulers responsible for African people. Above: Emperor Haile Selassie (1973). For me the most significant ruler, the most interesting leader, turned out to be Emperor Haile Selassie. In my new book, Echo of the Spirit: A Photographer’s Journey (Doubleday 2004), I write: “…As I waited at the Addis Ababa airport for a glimpse of arriving dignitaries, my attention was pulled from the action around the arriving airplanes to a group of men making their way across the tarmac. I could sense the power of one man in particular before I could even see him.” Although he was of such small stature that he was dwarfed by the others alongside him, something about his aura so profoundly moved me that I lowered the camera so I could see him with both eyes. 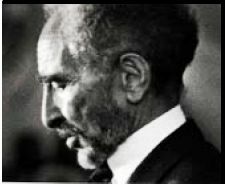 Only after he passed me did I learn that I had been in the presence of His Majesty Haile Selassie, the Emperor of Ethiopia. Returning from that trip, I began to seek out Ethiopian students at Ethiopian restaurants and conferences to discuss my experience, encountering a mixed reception and political discontent. The students were receptive to my interest in their country, although none shared my enthusiasm for the emperor. Through the many students I have met over the years, I have discovered informative books and begun attending the Horn of Africa Conference, held annually at the City College of New York. So far I have been to Ethiopia about a dozen times. On each visit, I use my camera to make a record of contemporary and ancient Ethiopia. Spending weeks at a time, I have traveled in the North to the cities of Mekele, Gondar, Lalibela, Aksum, Bahir Dar, Dessie and Yeha. In the South, I have recorded sites and ceremonies in Nazareth, Debra Ziet, Awassa, Tiya and Tutafella. Above: Fasilides Castle. Photo by Chester Higgins. Ethiopia is indeed home to the earliest humans. In the National Museum in Addis are the bones of Dinquinesh, or Lucy, dating back almost 4 million years. 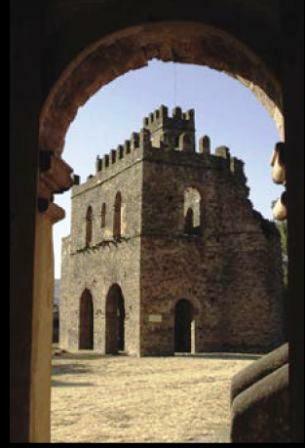 In Aksum, I have seen the monumental mains of tombs and obelisks from earliest kingdoms. 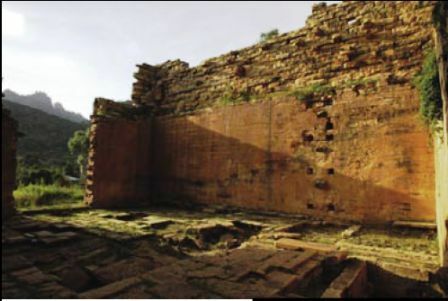 Also in Aksum, in 1000 BCE, Makeda, Queen of Sheba, turned away from the old faith of the Nile River cultures — the worship of the Sun that climaxed as the ancient Egyptian religion — and embraced the faith of the Hebrews. Here, too, Emperor Ezana converted to Christianity in 324 CE. The richness of the historic and photographic appeal of Ethiopia is revealed for me especially in the ancient monolithic stone churches of Lalibela and the more ancient Moon Temple in Yeha. Above: Yeha Temple. Photo by Chester Higgins. 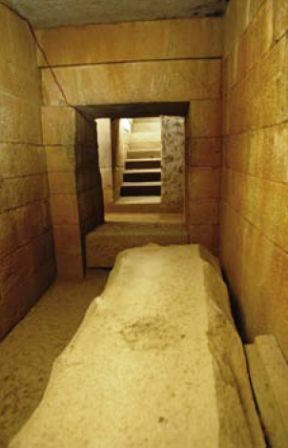 Above: Axum Tomb. Photo by Chester Higgins. Today, Ethiopian people stand tall and proud, their feet planted securely on the land of their fathers and under the sky of their mothers. Ethiopians work hard, believe hard, and are driven hard to persevere by the vicissitudes of nature and life. It has been a pleasure getting to know Ethiopia and her people. Even if I know the places very well the Photographer Chester Higgins showed me the angle that I never seen. An adequate amount of light and incredible angle and nice photos!!!!! I have seen many historic Ethiopian photographs, such as images of Haileselasie, etc….from so many diffrent angles. But all photographs of Chester Higins are so original and new to my eye. Moreover the way he narrates the story is very special. Wonderful and professional!